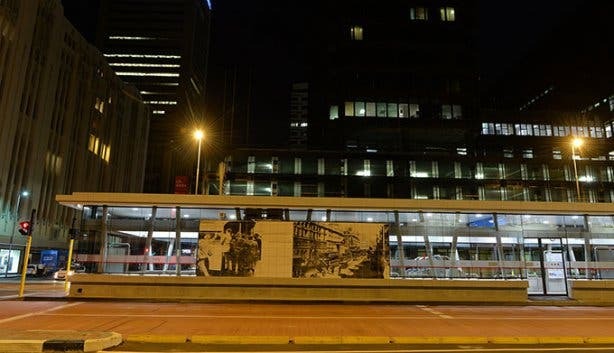 Since May 2010, more than 50 artworks, including mosaics, sculptures, ceramics, paintings, drawings, sandblasted images and spray-painted street art have been installed across Cape Town’s MyCiTi bus stations. In conjunction with the creations and in celebration of Heritage Month 2016, the Transport for Cape Town (the City of Cape Town’s transport authority) has launched a map as well as an interactive link on the MyCiTi website providing Mother City residents with information about the creative pieces located at the various bus stations across the city. “Thousands of MyCiTi commuters and visitors to Cape Town pass through these stations every month. 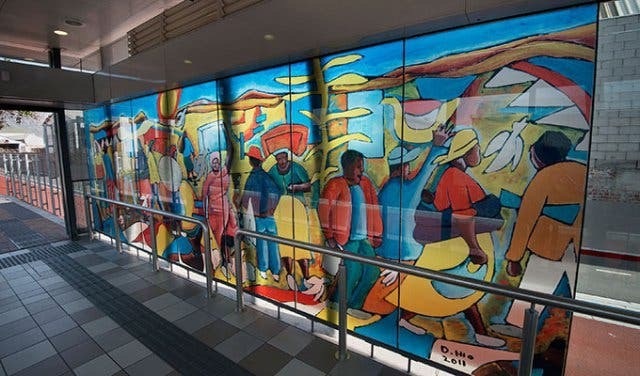 Yet I’m convinced that very few are acquainted with the purpose and theme of the art at the stations, the artists who created it, the inspiration for the art, and what it is trying to communicate to those who engage with it,” states the City’s Mayoral Committee Member: Transport for Cape Town, Councillor Brett Herron. 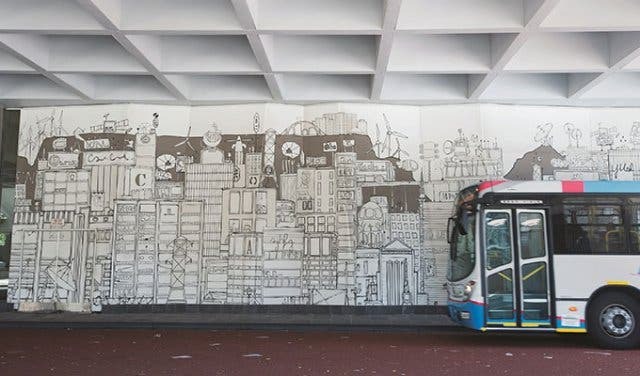 The Mother City’s MyCiTi art project derives from similar developments seen along metropolitan subway systems around the world, such as in New York, London and Moscow, and the public transport system in Sao Paulo. Artwork themes range from environmental issues to youth and identity, to urbanisation, migration,, and are often injected with a healthy dose of satire and humour. 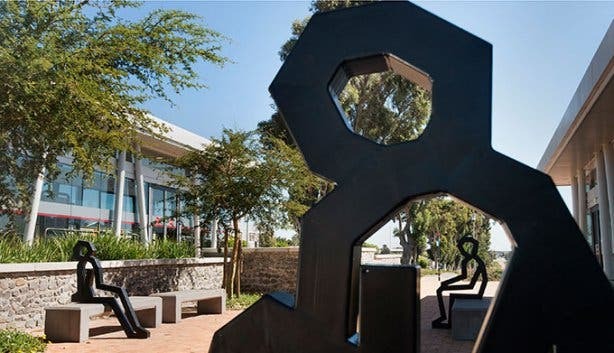 Some of the acclaimed artists who are responsible for the works include Sue Williamson and self-taught world famous Cape Town graffiti artist, Faith47, to name but a few. Those interested to learn more about the artworks can visit their website. 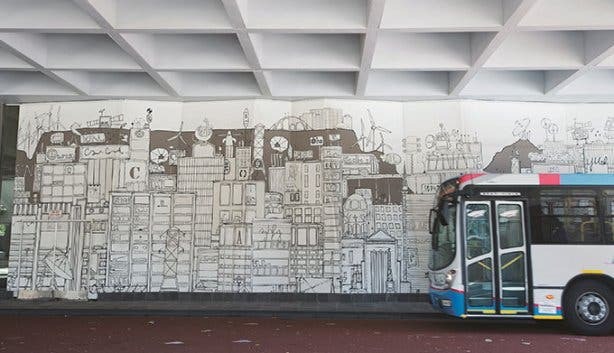 Some of the material featured on the website includes a route map indicating the MyCiTi stations where the artwork is located, various photos of the artworks, information about the themes, purpose of the art and artists as well as unique videos of the artists talking about their work and what they want to communicate to the onlooker. The website recently added the feature to view the art works online with an e-book link. The e-book link shows all art work from different stations, giving those who have not been able to visit all the stops the ability to view the pieces online. In an attempt to encourage residents to visit the link and pay closer attention to the artworks next time they pass through a MyCiTi station, Councillor Herron concludes: “At the MyCiTi stations we incorporate art into the everyday lives of ordinary people as they travel to work or school. The artwork is something to look at and to think about. It is functional and fun. It tells us more about Cape Town, our history and of who we are”. Interested in other cool things about Cape Town, why not check out our Bucklist. Check out how the City of Cape Town gave over 1 million people internet using fibre-optics cables.